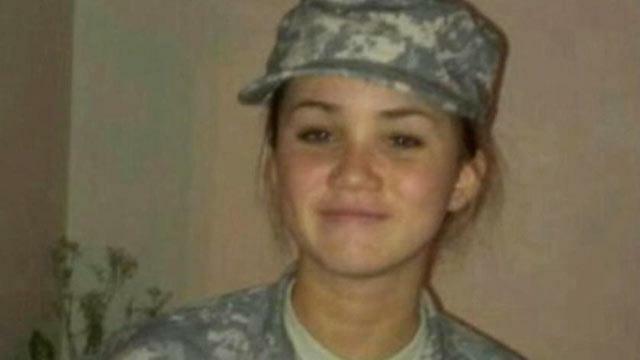 The father of a teenager who enlisted in the Army Reserves and was apparently killed by the sergeant who recruited her said his "smitten" daughter rushed to the officer's side because she feared he was suicidal. "He shot her," Kevin Miller told ABCNews.com, choking up. "She went to help him and he shot her for it." Michelle Miller, 17, left her Rockville, Md., home at around 9:15 p.m. on Sunday night after receiving a text message from someone in her reservist platoon about Staff Sgt. Adam Arndt, according to her father Kevin Miller. Arndt, 31, had recruited the Rockville High School senior to the Army Reserves, which she enlisted in to help pay her tuition for Arizona State University. Miller rushed out of her house believing that Arndt was suicidal and told her family she had to help a friend. Her father asked her to send the exact address, but he only received one vague message from her. "She went there [and] she dropped off the radar for us. She wouldn't answer the phone, texts, nothing," Kevin Miller told ABCNews.com. The frantic father contacted his daughter's friends and found out she had sent a few unusual messages to friends saying that she loved them and saying goodbye, according to ABC News' Maryland affiliate WJLA. Overnight, he continued to try to find out where she was and said a friend of hers was able to give him information in the morning that helped lead him to Arndt's house where he found her car outside. He called the police and they arrived shortly before 9 a.m. When they were unable to make contact with anyone inside the house, they forced their way in and found Michelle Miller and Arndt dead. "Detectives now believe that Arndt shot Miller and then shot himself," the Montgomery County Police said in a news release. There is an open investigation into the case as a murder-suicide. When asked about the nature of his daughter's relationship with the sergeant, Miller said, "I'm somewhat in the dark about that." "Something quite likely was going on there," he said. "When she first was going to the meetings and whatnot she met him and she took pictures of him and some of the other people there. You could see she was kind of smitten with him and it's really hard to say on what level," Miller said. "She was really impressed by him." Arndt's family could not be reached for comment. Michelle Miller was a talented athlete who lettered in lacrosse, soccer and basketball in high school and was also academically talented. She took multiple honors classes and was also taking classes at a college. She was one credit short of graduation, was tutoring other army recruits and had been accepted to Arizona State University. "She had a lot of things going on," her father said. "She was all set to go to boot camp in June, go to initial training and then in January go to Arizona, but it's all over." He described his daughter as a hard worker who would whatever it took to achieve her goals. "My daughter was someone who knew what she wanted and did everything she had to do to get it," he said. "She worked through pain. She played lacrosse on a foot problem. She would do whatever they asked her in the Army to do, no matter how tired she was or how sore she was." She wanted to be a psychologist and hoped to eventually work with soldiers who suffered from PTSD. "She was a fighter and she had her vision of what she wanted to do and she was willing to work as hard as she had to to get there," Miller said.